My Nanna’s a world traveller. As a girl I had a collection of dolls she’d bought on her travels, displayed safely out of reach and admired from a distance. The doll from China had a carefully painted face and a blue silk dress. The doll from Scotland wore a kilt and a furry hat. Nanna’s still travelling and when she visited Turkey a few years back she bought the Big Sister a Turkish dancer’s outfit. 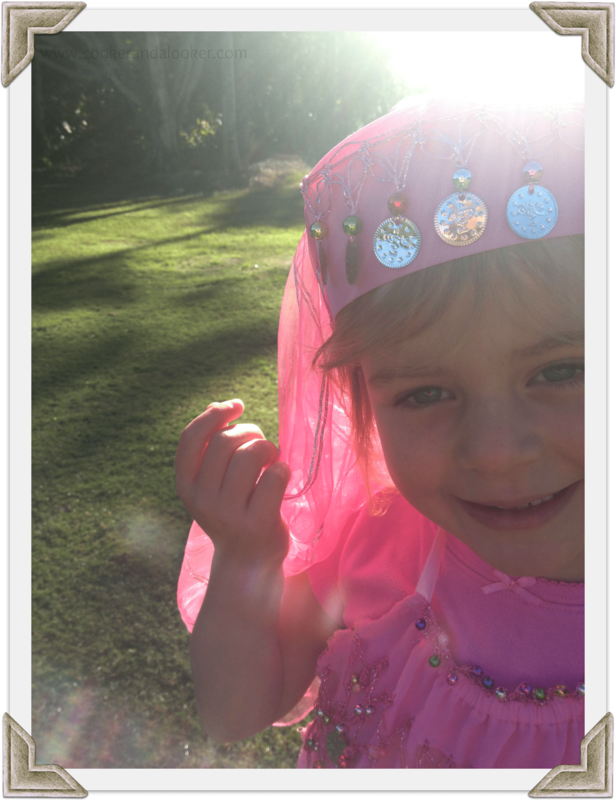 It got it’s first official outing this week for Kindy’s circus day. I think Australia misses out a bit in the costume department. If little Australian dolls’ feet were nailed to display boxes, what would they wear? If we did decide an Australian national dress, souvenir retailers would not be the only winners. Our Miss Universe contestants could breathe a collective sigh of relief – they’d no longer be stuck wearing artists’ impressions of the Great Barrier Reef and could don a nice Jenny Kee jumper. We’re not much better off in the tucker stakes either. What’s our national dish? The pav? I’m unconvinced. The questionable lineage of the pavlova is best left to New Zealand- a bit like Russell Crowe methinks. So where does that leave us? The lamington? 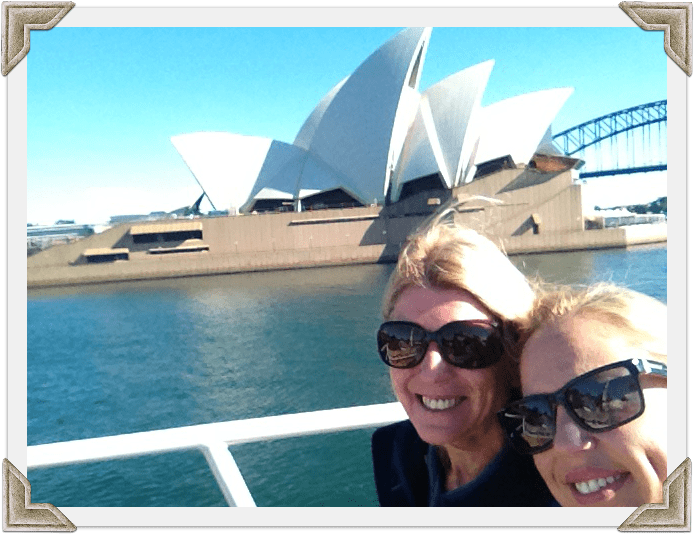 A few weeks ago Mum and I spent a morning on Sydney Harbour – the weather was fabulous, the views spectacular and the lady providing the commentary was wry, sarcastic and frankly the best tour guide I have ever heard. The lamingtons however, were not great. Their un-greatness may have been magnified by the Australian icons surrounding them, but regardless of the surroundings, it occurred to me – I don’t think I’ve ever eaten a good lamington. It’s a sad state of affairs really. I came home, bubbling with patriotism and decided to adapt an old CWA lamington recipe. It turns out lamingtons weren’t always dried-up bits of old sponge they sell in school tuck shops. These are beaut! Cream 140g butter and sugar together in a bowl. Add the beaten eggs, milk and a few drops of vanilla extract and beat. Finally, stir in the flour. Pour the mixture into a greased rectangular cake tin and bake for 30 minutes. Turn the cake out onto a wire rack. Once cooled, cut the cake into squares. To make the icing, cream 85g of butter and the icing sugar together. Add about two tablespoons of boiling water to the cocoa powder and add to the butter mixture. Stir in a few drops of vanilla extract. Ice the cake square, the roll them in the toasted coconut. what is Australia’s national dish? 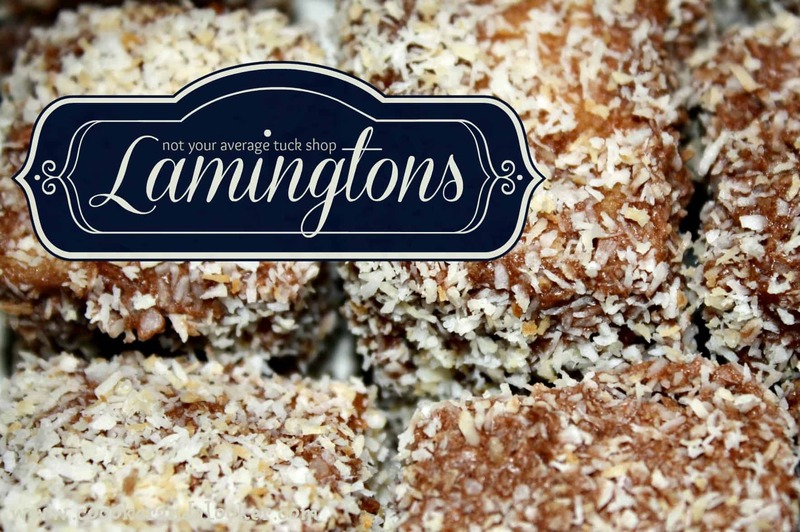 how were the lamingtons at your school tuck shop? should we shout our next Miss Universe contestant a nice Ken Done tracksuit? p.s. I can’t tick the boxes below that notify me of follow-up comments – it may be my computer but just thought I should mention it. hilarious! i’ve only had one, at a bakery in tassie 20 yrs ago or so, and i wasn’t impressed. couldn’t for the life of me figure out what all the fuss was about. i can only assume my husband grew up on something homemade and wonderful………… ya reckon my doyle’s cookbook will have aything??! I love a good lamington! Miss Universe should head out in workboots and a Flanno I think – couldn’t be worse than what they dress them in these days. Oh, how I love lamingtons! We didn’t have any in our tuck shop but I remember helping out on a lamington drive and I found it so incredibly hard not to eat them. And that combination of coconut and chocolate…yum! I remember how well these went down last year!! Yum!!! lol Bek you are so right! You should try this recipe I did and they turned out great! I love hearing when people make my recipes Annaleis. So glad they turned turned out great. I’ve been giving this some more thought today Bek, based on current fashion perhaps Miss Australia will be wearing denim undies and uggs – classy! I do love lamingtons, tuckshop or otherwise…national dish tho, the humble snag.